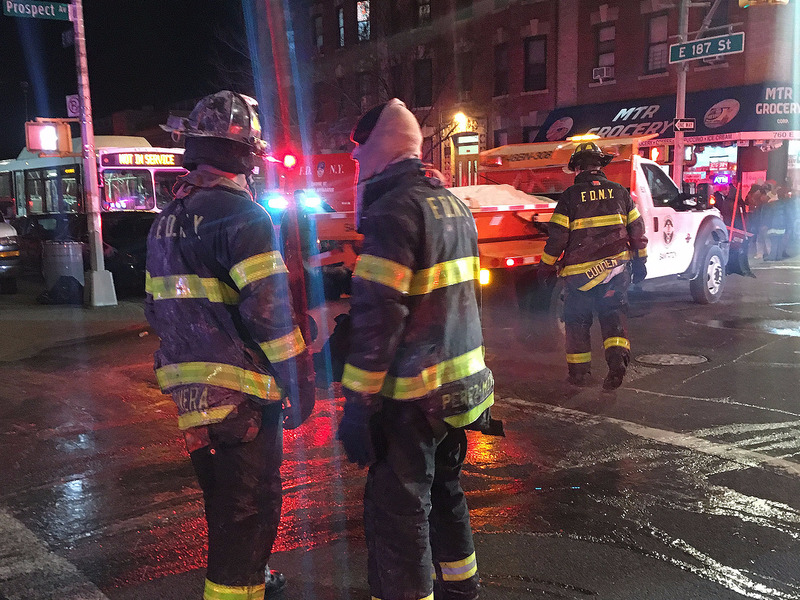 Investigators believe the deadly fire that ripped through a Bronx building Thursday evening was caused by a child playing with a stove, New York City officials said. The fire killed 12, including four children, making it the deadliest New York City blaze in decades. The blaze that ripped through a Bronx building on Thursday night and killed 12, including four children, was caused by a small child playing with a stove in a first-floor apartment, New York City officials said Friday. “It seems like a horrible, tragic accident,” Mayor Bill de Blasio said in an interview with WNYC radio. A 3-year-old boy had been playing with the burners on the stove, the New York fire department’s commissioner, Daniel Nigro, said in a news conference. He added that the young boy had a history of doing so and that his mother was in the apartment at the time but did not notice the fire until she heard his screams. “It took the fire so quickly up the stairs that people had very little time to react, they couldn’t get back down the stairs. Those that tried, a few of them perished,” he said. The fatalities included a 1-year-old, a 2-year-old, a 7-year old, and a boy whose age was not given. An additional four people were critically injured and are “fighting for their lives right now,” Nigro said. He called the fire “historic” and said it was the deadliest to occur in New York City since a blaze killed 87 at a nightclub in the Bronx in 1990. The blaze was first reported just before 7 p.m. Thursday and quickly spread to the upper floors in the five-story building, reaching four alarms and drawing more than 160 firefighters to the scene. 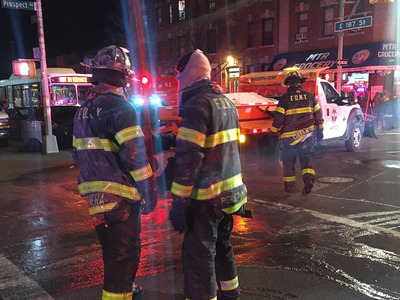 The flames were brought under control by 10 p.m.
Nigro said one lesson New Yorkers could draw from the fire was to close the doors when exiting a burning building. He added that while the building was outfitted with smoke detectors, investigators were still determining whether they were all functioning at the time the blaze broke out. City records show that the building was written up for several open violations, including a broken smoke detector and carbon monoxide detector on the first floor.